Argentinian street artist Marina Zumi and her assistant have begin work on a mural on the west side of Hog Haus Brewing Co. at the corner of Dickson Street and West Avenue. 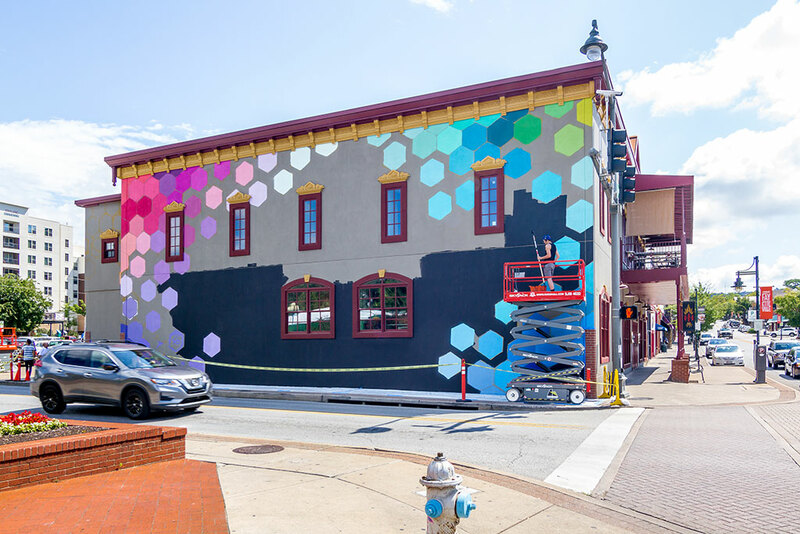 Fayetteville’s Green Candy public art project is officially underway. 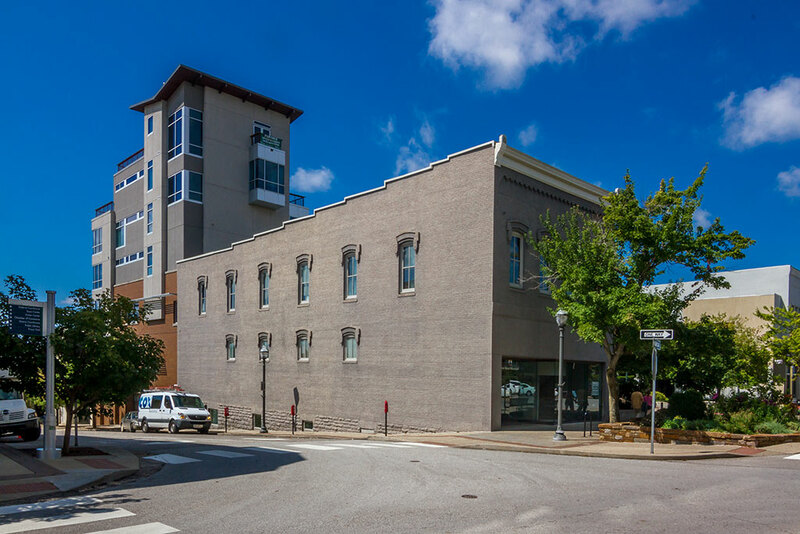 The event, which includes a group of international and local artists selected to create a series of public art works throughout the downtown area, is headed by Experience Fayetteville, the city’s tourism department. Artists and artwork are curated by global creative house JustKids, the same group who organized the renowned “The Unexpected” street art festival in Fort Smith. Argentinian street artist Marina Zumi on Thursday began work on a large-scale mural on the west side of Hog Haus Brewing Co. at the corner of Dickson Street and West Avenue. A mural by Fayetteville artist Jason Jones is planned at 545 W. Center St. by the Frisco Trail crossing. 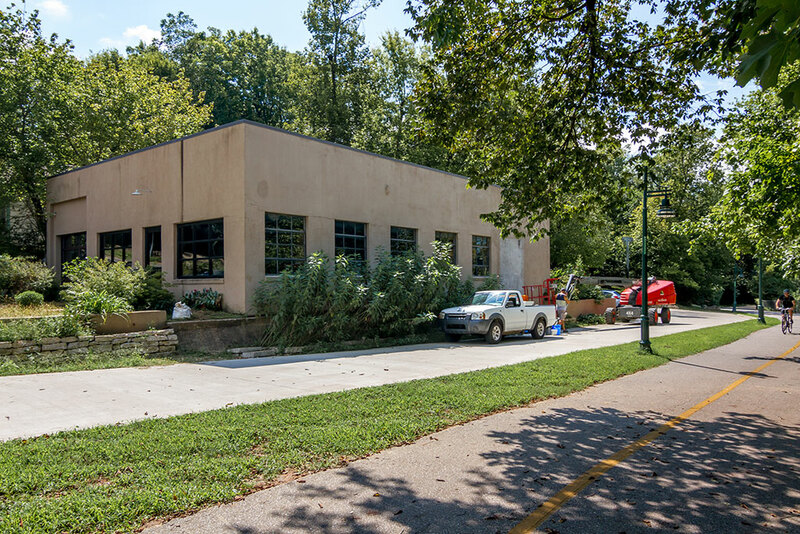 Fayetteville’s own Jason Jones has begun preparation work for his mural at the David W. McKee Architects studio near the intersection of West Center Street and Frisco Trail. Work on a third mural, by Lithuanian artist Ernest Zacharevic, will soon begin at the southwest corner of West Mountain Street and East Avenue on the downtown square. The nearby Walker-Stone House, at 207 W. Center St., will host three separate artworks that include a three-dimensional piece by Portuguese multimedia artist Bordalo II, an installation by local crochet artist Gina Gallina and an immersive room by Brazilian artists Bicicleta Sem Freio. A celebration is scheduled at the Walker-Stone House from 1 – 4 p.m. on Friday, Aug. 25. 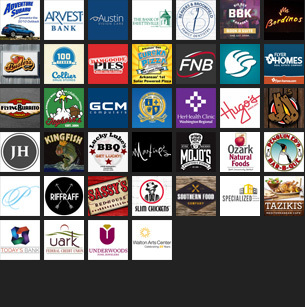 The event is hosted in collaboration with the Fayetteville Roots Festival and will feature live music and live screen printing. A mural by Lithuanian artist Ernest Zacharevic is planned on the downtown square. Attendees are invited to bring old T-shirts and apparel to be upcycled with a limited edition design by Justkids. The event is free and open to the public. Maps to locate the artwork will be available and a pop-up shop will feature a variety of Green Candy and Justkids merchandise as well as works by Ana Maria. The Bicicleta Sem Freio installation and the Green Candy pop-up shop will remain open to the public on Saturday, Aug. 26 and Sunday, Aug. 27.